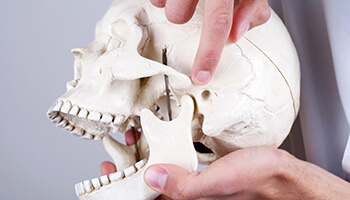 Your temporomandibular joints, or TMJs, connect your lower jaw(mandible) to your skull. These joints get a lot of use throughout the day as you speak, chew, swallow, and yawn. Pain in and around these joints can be unpleasant and may even restrict movement. 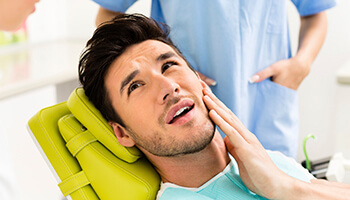 Temporomandibular Disorders may be triggered or exacerbated by many factors such as but not limited to stress, trauma, parafunctional habits, diet, anatomy of the joints, occlusion(bite), medications, metabolic disease, , psychological disorders and growth of the jaws. Pain or soreness in the jaw area. Pain, ringing, or stuffiness in the ears. Clicking or popping sound when the jaw moves. A change in the bite. Locked jaw or limited opening of the mouth. Avoid clenching your teeth during daytime. Do not chew food on only one side of your mouth. Do not sit with your chin rested on your hand. Avoid any physical trauma to the jaws. Reduce your stress in your daily life. Use cold compress during episodes of TMD. Do not open your mouth wide. 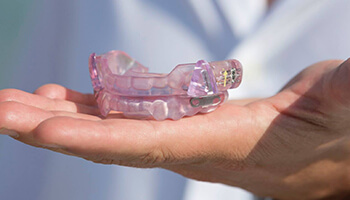 Many people experience TMD without having any orthodontic treatment or having any history of trauma to their jaws. Symptoms may subside after a period of severe pain. If you are experiencing any of the symptoms listed above and are concerned that you're a candidate for TMD treatment, please contact our office for a consultation.